We are a digital production and marketing agency based in Yogyakarta, Indonesia. 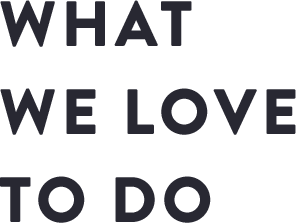 We design and develop websites, create digital contents, manage your digital campaigns and social media marketing. Our designers craft an User Experience with web sites that are both technically compliant and aesthetically beautiful. Whether it's a company profile, blog, or an online shop, we can make it responsive, fast, and SEO friendly websites for you. 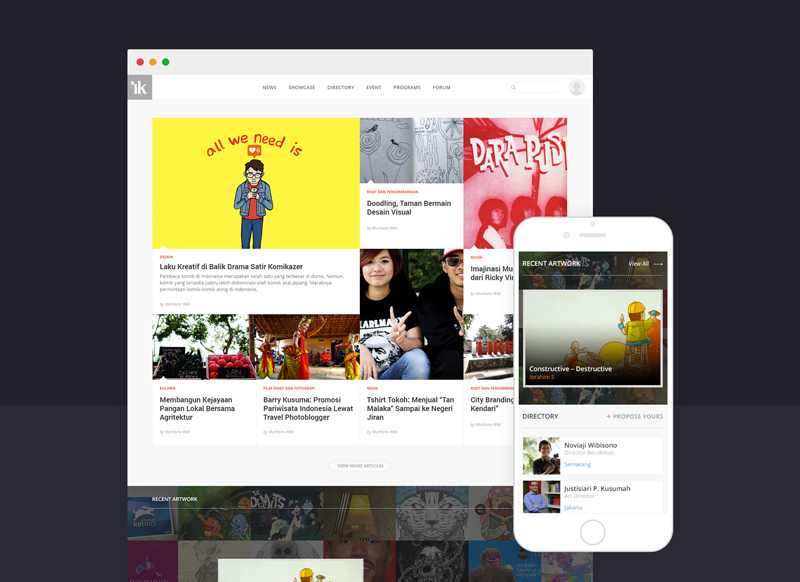 We create and manage content for your digital needs. Engage with your audience, increase your conversion rates and build your bold presence on digital world. 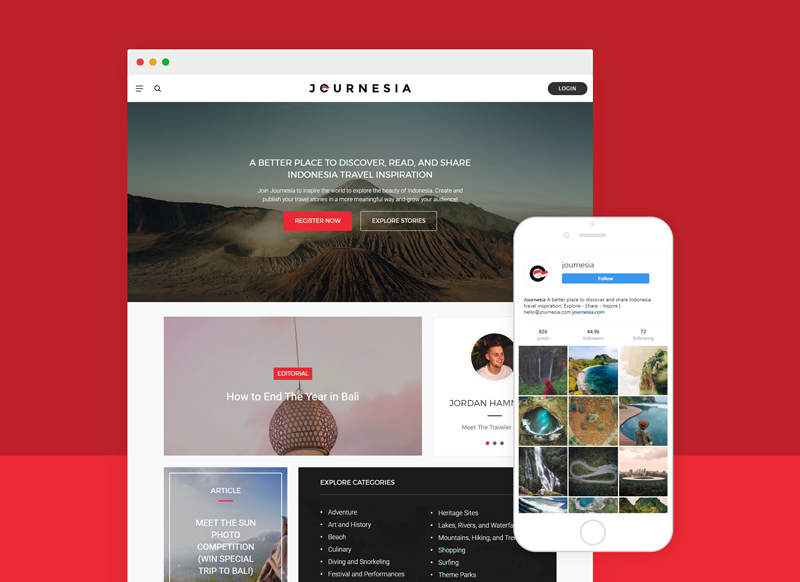 Journesia is community-focused blogging platform designed for travelers, travel bloggers, and travel photographers to share and discover epic travel stories in Indonesia. 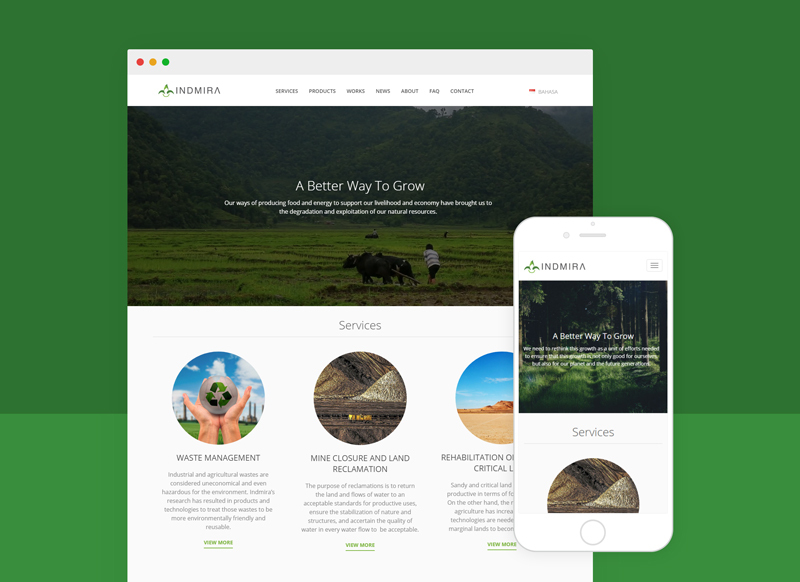 Indmira is a technology based company that has been conducting research and development on agrocomplex and environmental rehabilitation since 1985. 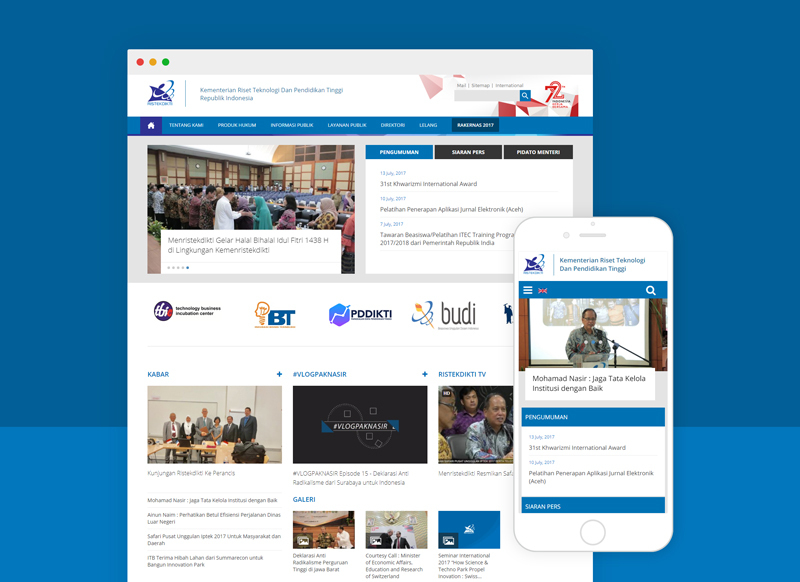 We build a WordPress theme for Ristekdikti.go.id, an official website from Indonesia Ministry of Research, Technology, and Higher Education. In 2013, we build Indonesiakreatif.net, an official website from Indonesia Ministry of Tourism and Creative Industry.